It Never Sleeps and Why You Should Play D&D! The new season of Hero Club is coming out on the 20th! Less than a week! 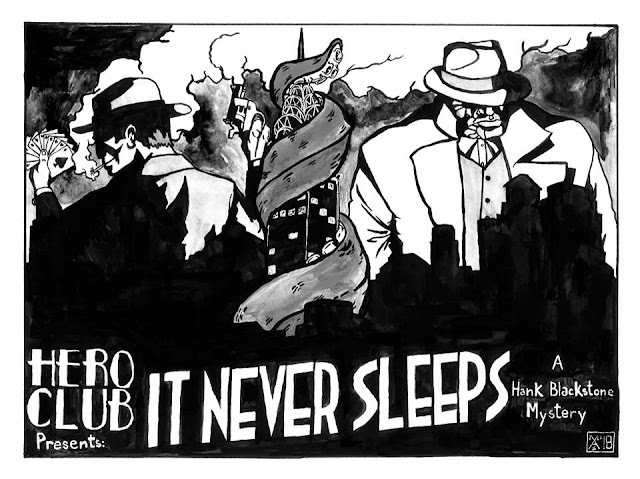 It's called It Never Sleeps: A Hank Blackstone Mystery and it's going to be using pieces from our Lovecraft Update. I've never been this excited to listen to a podcast. So, if you're looking for a slick podcast, with some of our content thrown in to boot, you need to check it out. Don't wait: subscribe here or find it here! Our new YouTube video is for you if A) you like having your opinions validated by YouTube videos or B) you like sending videos to people to convince them of things. In this video, we discuss the unique aspects which makes 5th edition a hell of a system to get started on (and we're not at all biased). Give it a watch!